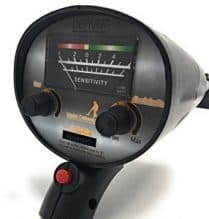 The Denver MET-100 Waterproof Metal Detector is Amazons top selling metal detector in the lower price range. Perhaps not for the more serious detectorist I believe the machine would be fantastic for a child/teenager or someone who was just wanting to metal detect for fun on the odd occasion. 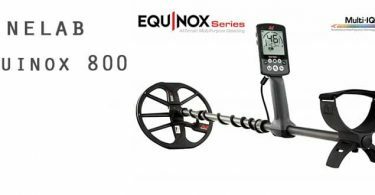 On first appearance the detector does seem somewhat less quality than a more popular brand metal detector but I suppose for the price you can’t expect too much. The control box is very simple with switch on and go technology. There are two knobs and a volume switch. The display is a simple analogue display which will allow you to see whether the target is ferrous or non ferrous metal. It features a headphone jack and you will be grateful of this if you are purchasing for a child. There is an auto tune and discrimination knob to allow the user to fine tune there preferences according to the ground you are searching on. Now here’s the catch the Denver MET-100 claims to be waterproof however this is not entirely true. The search coil is fully waterproof but the control box is not so don’t go diving with it! The Denver MET weighs in at just under 1.1kg which is super lightweight making it again more perfect for a child. The length of the stem can be adjusted for more comfort and it features an arm rest. Although they claim the machine has the capability of finding metals up to 12cm in the ground, I do believe this highly depends on the ground conditions. The machine is a very low budget machine after all. The Denver is capable of picking up numerous types of metal including gold, silver, bronze and brass. I haven’t personally tested out one of these metal detectors but I do plan on doing so. I will keep you updated on my findings. All of my findings are based on research and other customer reviews. Speaking of reviews it has received some very positive reviews and it is the number 1 selling metal detector on Amazon. This is 100% because of the price. 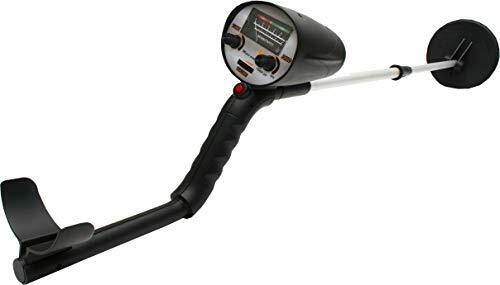 To summarise I believe if you want a very low cost metal detector that actually works, is light weight and it’s going to be bought as a gift for a child or teenager, or even for someone who just wants some fun on the beach that this metal detector is good for just that. Cheap! Fun! It works. It by no means compares to metal detectors for beginners like the Garrett Ace 150 though. 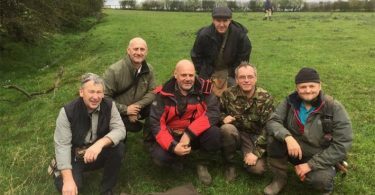 Lightweight More for kids and less serious detectorists.